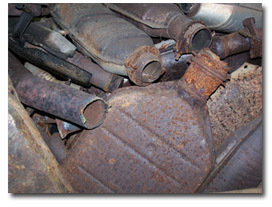 ZINC DIE CAST, NICKEL ALLOYS, and CATALYTIC CONVERTERS. Penn Recycling utilizes a variety of equipment in producing a non-ferrous product acceptable to the applicable consumer’s size and quality specifications. 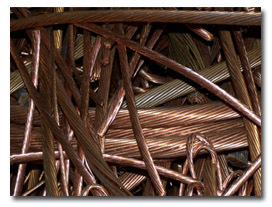 Processes include baling, shredding, shearing, cable stripping, sorting and packaging. 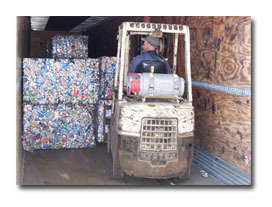 A high density automated horizontal baler is utilized to package large volumes of segregated material to consumer standards. 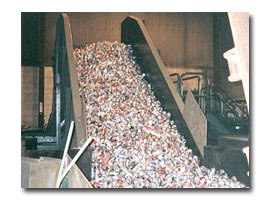 Materials are conveyed into a baling chamber where they are sheared, densified, automatically tied and ejected. The finished product is inspected for contaminants or off-spec components and warehoused pending shipment to the appropriate consumer. 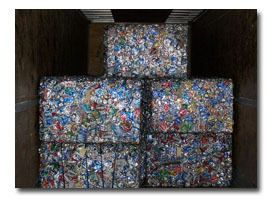 These bales weigh anywhere from 1000 to 3500 pounds and are approximately 5 feet long and 3 feet wide. 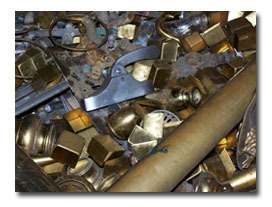 Other materials such as copper and brass are sorted, cleaned of any iron or other non-metallics and containerized in corrugated Gaylord boxes. These boxes are then warehoused pending shipment. 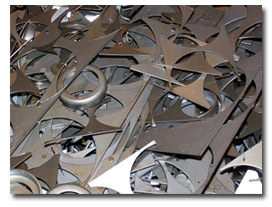 Some materials such as stainless steel are processed through an 800-ton hydraulic guillotine shear and shipped to market in bulk dump trailers. 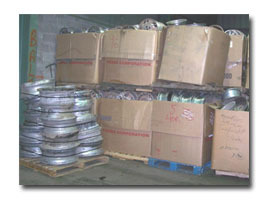 Materials are shipped via truck to mills and smelters throughout the East and Midwest United States. Other equipment utilized are forklift trucks, skid steers, cable strippers, hydraulic metal shears, aluminum can separators, metal scales and hand-held radiation detection units. Penn Recycling, Inc. is proud of the quality non-ferrous products it produces and continually strives to maintain consumer satisfaction.